HomeWood Designer ForumGeneral EnquiriesPolyboard parts (panel type)? 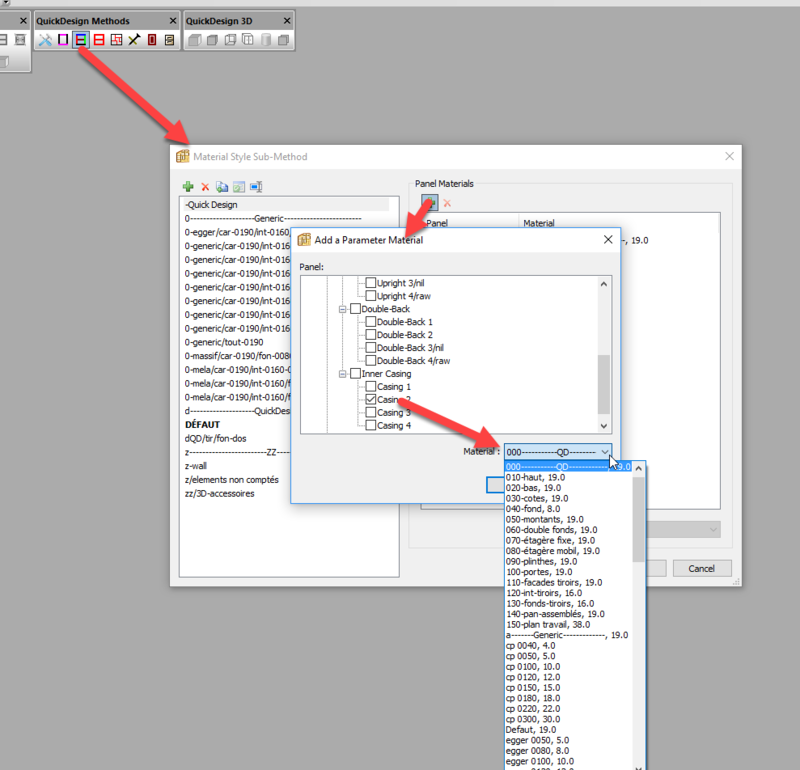 Once the panel type name is created you apply the properties using the sub-methods. For instance, to set the material associated to the panel type, go to sub-method materials style, click the + button and choose the panel type and material. You can use the other sub methods to assign any other property to the new panel type. In Tools/Preference I see that I can customize panel types (for example I can add new shelve and assign name to it), but how to add properties to my new created panel type (if I added shelve, how to assign thickness and other properties)?